I’ve been blessed with the honor of sharing a room with my sister all meee life mate- to no avail. No big deal, really, I guess- except for when I started working at Bloomingdales back in ’06 and clothes/shoes became my life… and I started running out of room to put boxes of shoes and accessories. CRAZY. 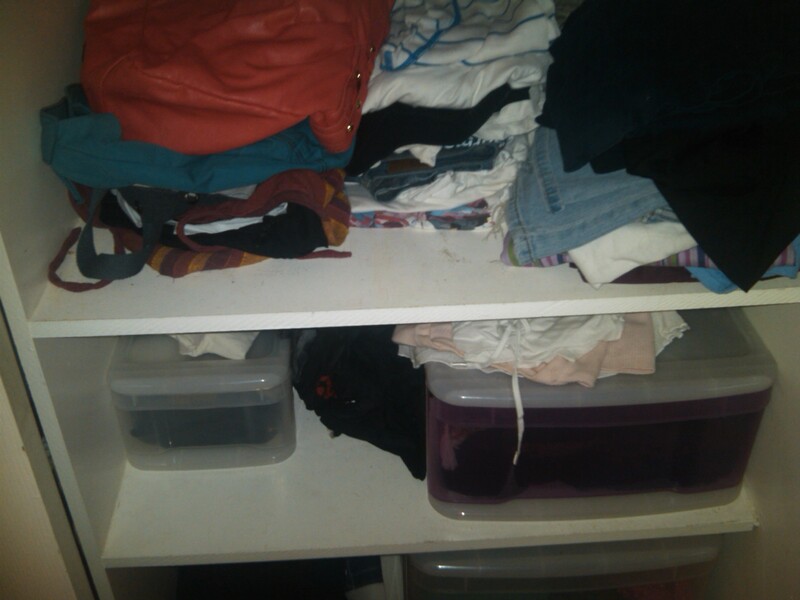 So every now and then, Summer/Fall cleaning and Spring cleaning I give it go at reorganizing my shared closet- 2 shelves I am entitled to and my top half of the closet. 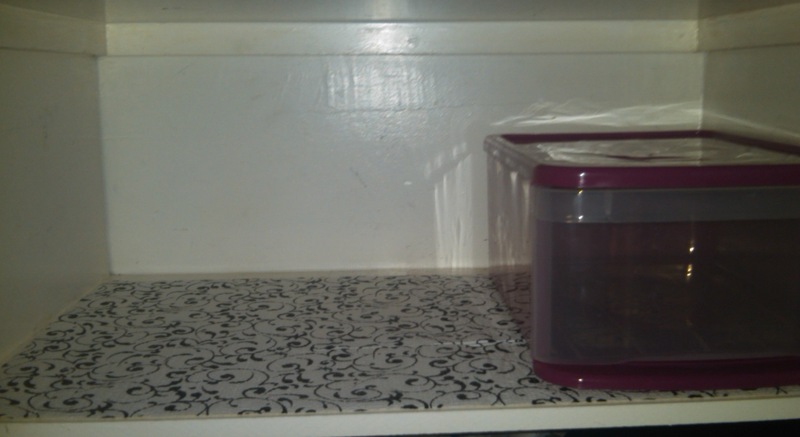 I’m a bit neurotic at times… so this specific ‘cleaning’ took me to the Container Store. Just a fun and easy DIY! 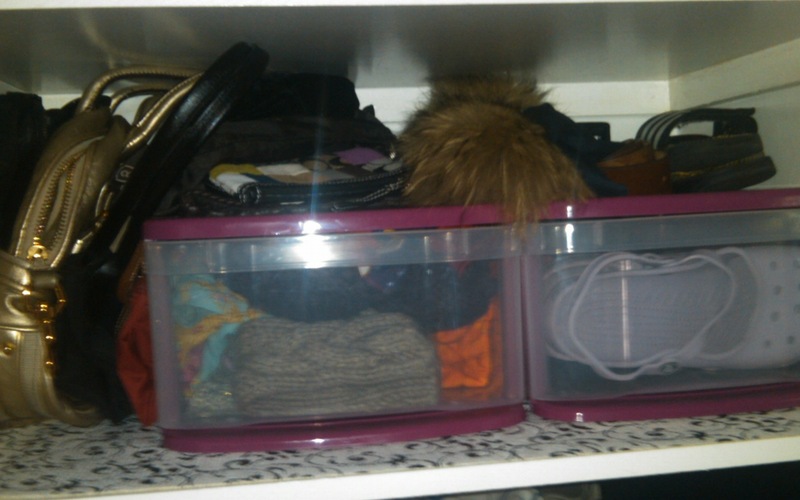 I needed bins, bins to organize, belts, from flip flops to scarves and clutches. So I did just that and also picked up some funky liner for the shelves from Bed Bath & Beyond, I recommend: Con-Tact Brand Grip Prints Non-Adhesive. ORGANIZED! SUCCESS. and yes… if you must know- those are Crocs.